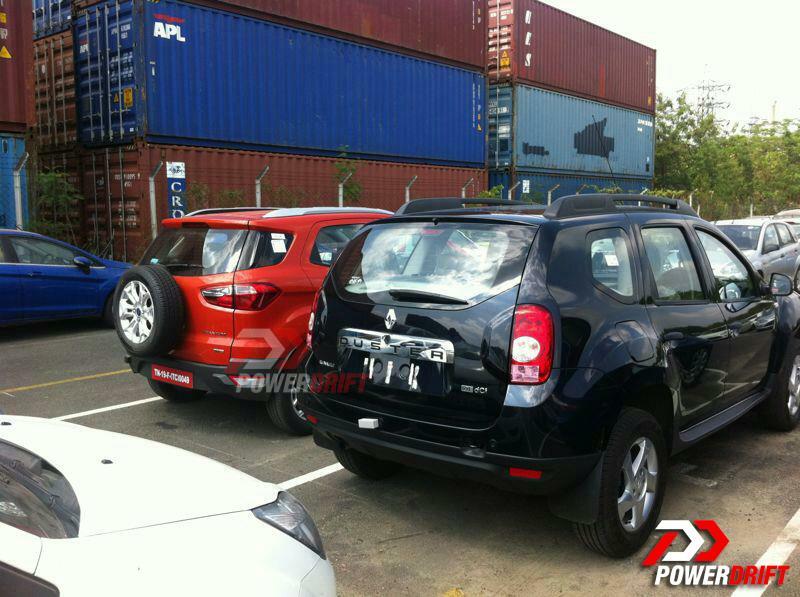 We have shown you images of EcoSport vs Duster together being spotted, a couple of times now. In fact, we also worked out a Duster Vs EcoSport comparison sheet to tell you which one is better. But, this is the first time that the two cars were spotted together in India for the first time. 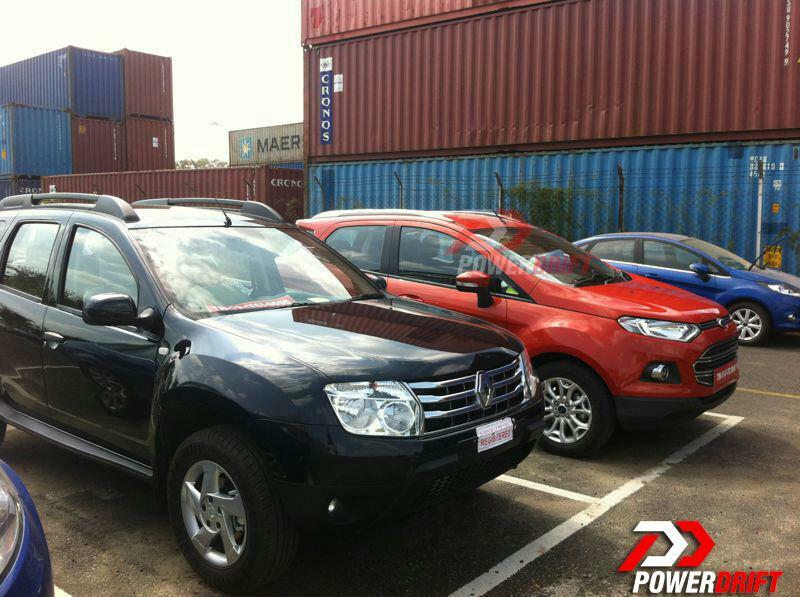 The spotted variants with EcoSport in its regular Orange colored suit and Duster in its handsome black suit. The registration plate spotted at EcoSport is a Tamil Nadu one thereby signifying this being ready to be shipped, may be. It could also give good news for all EcoSport fans in India who are awaiting its launch in the country since more than an year now. This could also be getting ready for a media drive wherein two cars could be compared. Let us get back to work now and will get back to all of you with more details on Ford's EcoSport, when is it launching and what is it exactly doing here being placed along with the Renault's Duster. I can say with a lot of confidence that this pic has been taken in Ford India plant in Chennai. I know this container receivable yard and all the other cars around are Ford that substantiates my observation.